Many people think change is bad. I know I can be like that when it comes to people or things in my life. 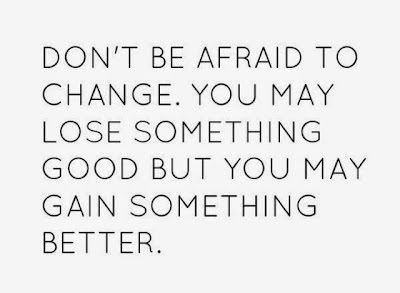 I find that embracing a change rather than fighting it ends up being the best thing in life. For example, I had to change how I dealt with stress because snapping at people was not working to help me keep friendships. Rather than still be snarky, I just tried to think more positive when I had stress. Now, people call me the zen master. I rarely freak out visibly for things and I attribute it all to good planning and positive thinking. 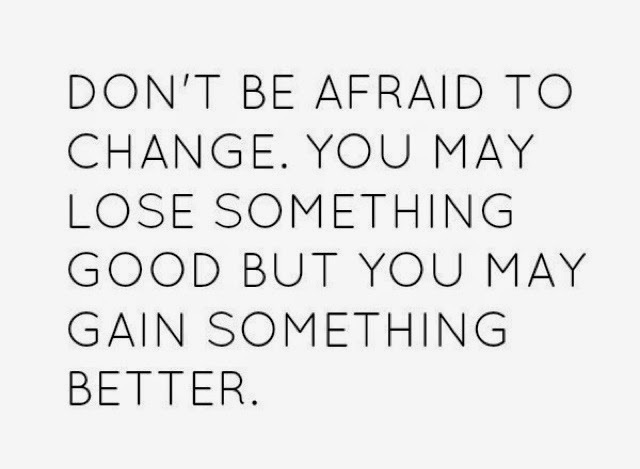 Change is always for good, whether it feels that way in the beginning or not.